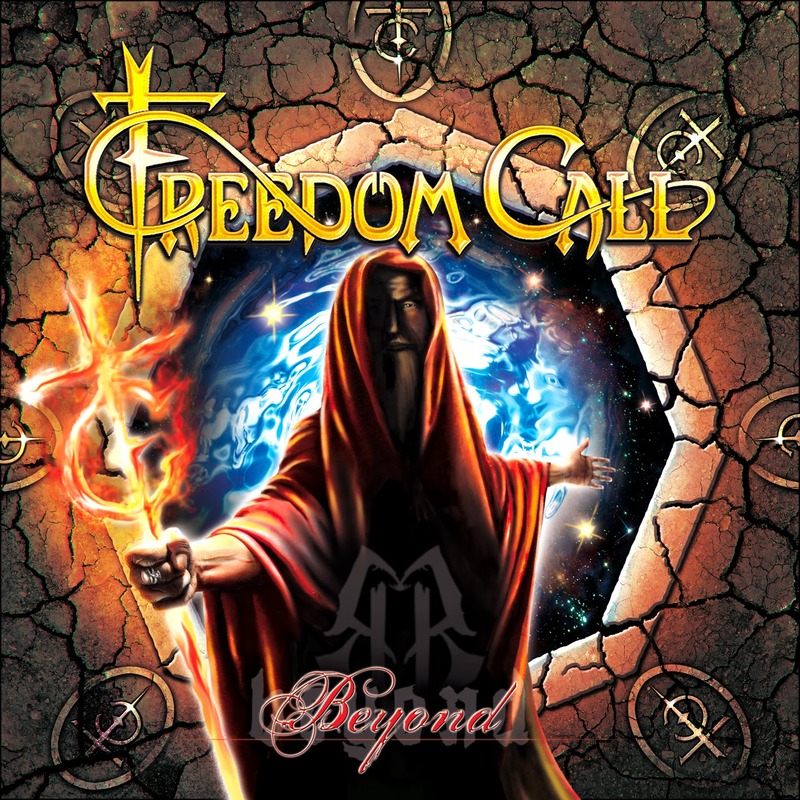 Rock & Metal 4 You: CD-Review: Freedom Call - "Beyond"
It's time for a new Happy Metal party! 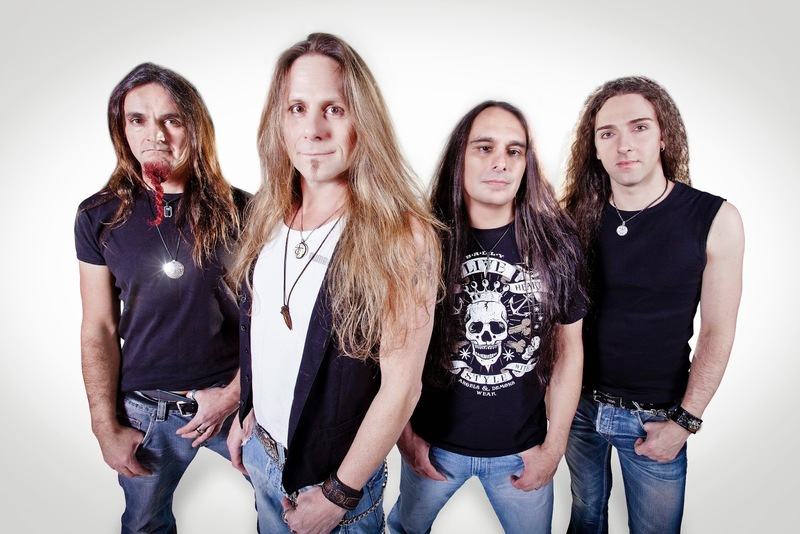 The Bavarian Power Metal heroes Freedom Call are back with a new album called "Beyond" and want to show how a Power Metal LP should be done. This time under the motto "back to the roots". In advance, it was announced that the guys wanted to take a step back to their first records, because of the reactions they got on their last tour. With this review I'll tell you if they succeeded. What can I say about these guys? Either you love them or you hate them. It seems like there is nothing in between. Freedom call are hated by many Metalheads for their happy melodies and damn catchy songs. But you know what? These two things are the reasons why I love this band so much and I think every Rocker and Metalhead has to be honest and admit that mastermind Chris Bay wrote a bunch of Power Metal hits in the last 16 years. Therefore you just have to pay them respect. Bands like Helloween would kill to write just three songs of this class nowadays. So I was really excited when I got the promo from Freedom Call's new album "Beyond" (out in late February). After listening to the first two songs "Union Of The Strong" and "Knights Of Taragon" I had a smile on my face: Freedom Call never sounded so close to their masterpiece "Eternity" (from 2002) like they do on this new record. "Eternity" is my favorite album from these guys so you can imagine how satisfied I'm at the moment. The good thing is that this sound is present through the entire playtime. That means you won't find any pop/rock songs like "Hero On Video" (from the previous album "Land Of The Crimson Dawn") on "Beyond". Also the Hard Rock influences were reduced. They are still there on some tracks, but not very often. Instead of this the band increased the speed very much. Most tracks are played very fast with tons of double-layered guitars, pounding double-bass and of course the fanfare is also used very often - just like in the good old days. So it's no wonder that Chris Bay and Co. deliver a bunch of hits again. These include the first two tracks I mentioned above, as well as the party anthem "Come On Home" (will work on stage very well), the hymn "Among The Shadows", the terrific "Edge Of The Ocean" and the fantastic "Journey Into Wonderland", which is just too good to be true. Yeah and it's some kind of tradition that Freedom Call close their albums with a true gem and this is the same here: "Beyond Eternity" is another winner. It just makes me happy to listen to all these songs. Freedom Call have the ability to transport a very positive mood to the listener. It's just feel-good music. Everything is fine so far, but even here I found something to complain about: my main problem with this record is the fact that Freedom Call copy a lot from themselves this time. A good example are the lyrics. Here they recycle all the phrases they used in the past: "we are warriors", "Taragon" "we are the union of the light", "for power and glory", "eternity", "where the spirit is high" and the list goes on and on. Dear Freedom Call, this has nothing to do with "back to the roots" - that is just copy and paste. I don't expect any innovations in songwriting, but I never noticed so many repetitions on other records. The same goes to the melodies - sometimes they feel like a mash-up from older Freedom Call songs, especially in the second half of the record. It feels a bit like the songs were build on various set-pieces from the past. That works quiet well, because the songs are definitely fun to listen to and of course this is nagging on a very high level here, but the previous record had much more variety and different ideas to offer. Nevertheless, you won't find a real weak track on this CD. Ok, the title track "Beyond" couldn't convince me, because this one comes along with a bigger approach and is more complex. Not my cup of tea. In my opinion Freedom Call are the best when they are doing their Happy Metal stuff, where the fun is important and not an epic scale. This is the only song I would skip here, but I think this one will also find its fans. Beside these points there is nothing to complain about. The band sounds tight and stronger than ever, the production is top notch, Chris Bay delivers unique vocals ... and damn I can't get those earworms out of my head! But for sure this is not a bad thing!!! To come to an end: if you hated this band since the beginning you won't be happy with this album, because Freedom Call deliver more of the same: tons of hooks and catchy party metal songs. So, people who love this band will get exactly what they are looking for and a little bit more, because the mission "back to the roots" has succeeded very well! Each time I listen to "Beyond" I think of the "Eternity"-days, which is really good, but at the same time a little problem. With "Beyond" Freedom Call are moving forward, while going a step back to the past and die-hard-fans will love them for this decision. A truly Power Metal hit firework.